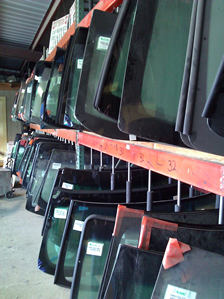 NJ Payless Auto Glass is a family owned automotive glass repair shop. We understand that windshield, and other auto glass, damage always comes unexpectedly at the most inopportune times. Our mission is to help you decide what the best solution is, whether your glass can be repaired, or if it needs to be replaced. Once the solution is determined, we then help you get the problem resolved, quickly and professionally, and at the best price possible! We can also help you with your insurance company if you have insurance on your glass, but in many cases, we are able to get you prices lower than your deductible! Being a family owned repair shop, we take a lot of pride in our work, and stand by all of our repairs 100%. We give a lifetime warranty on all of the labor against water leakage, air leaks, or any other problems related to the repairs. All of our technicians are highly experienced, and hold very high standards. Lets face it. In the modern day automobile, even windshields have become much more advanced than they used to be. Many vehicles come equipped with defrost in the glass, built in antennas, and even rain sensors! Auto glass is no longer just a piece of glass. The good news is, we have experience with all of these technologies. Whatever your stock (OEM) glass came with, the replacement auto glass will have all of the same features and function exactly the same, as well as look the same. A lot of care is taken in each and every job to make sure that every step of the process is done right. This includes taken proper measures while removing the broken car glass. Vacuuming the broken glass from your automobile. Cleaning and prepping the mating surface for the new piece of auto glass. And, of course, properly installing the new piece of auto glass using the proper adhesives, or fasteners for the job. The final step is to check all connections for accessories, test the glass if it is a power window, and finally, thoroughly clean the glass.